Fundraiser will start Wednesday June 26th and run through August 31st . There will be 2 deadlines to collect money & deliver cards . July 11th is the first collection deadline & then August 30th . After each deadline - we will pay for all cards with money turned in and get them out to you ASAP (about a week) to distribute. Distribute them promptly. $7 per card sold will be taken off your marching band fees owed. Click the donate button below. You can enter in a students name in the purpose of donation. 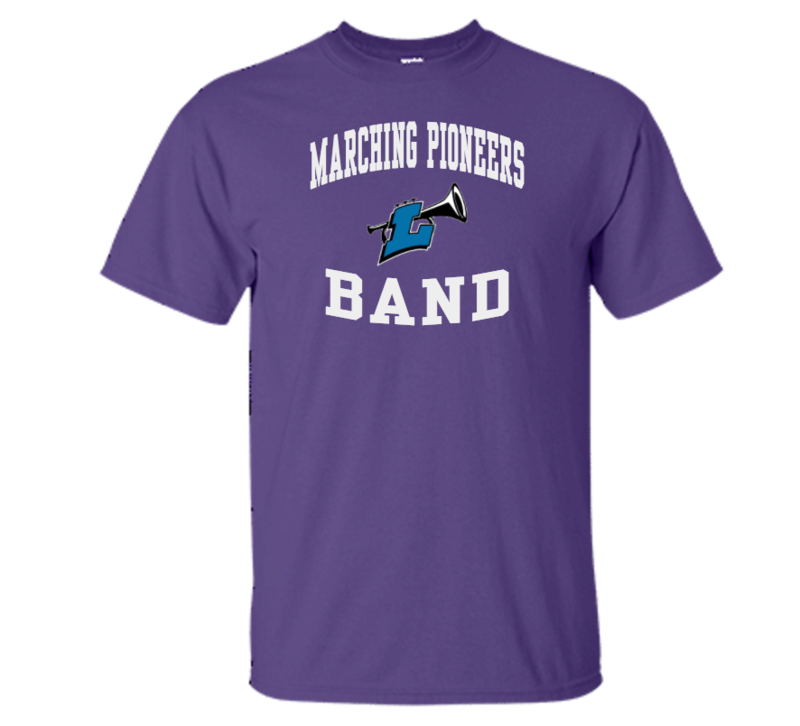 Show your school spirit by ordering custom t-shirts and more!